The modern veterinary practice looks much different than their counterparts twenty or thirty years ago. Greater reliance on technology has meant major changes on both the administrative and the animal care sides of modern practices. Because we now live in an ultra-connected society, pet owners expect quick service at virtually any time of day. Better diagnostic equipment and monitoring during surgeries has also changed what goes on in the exam room. 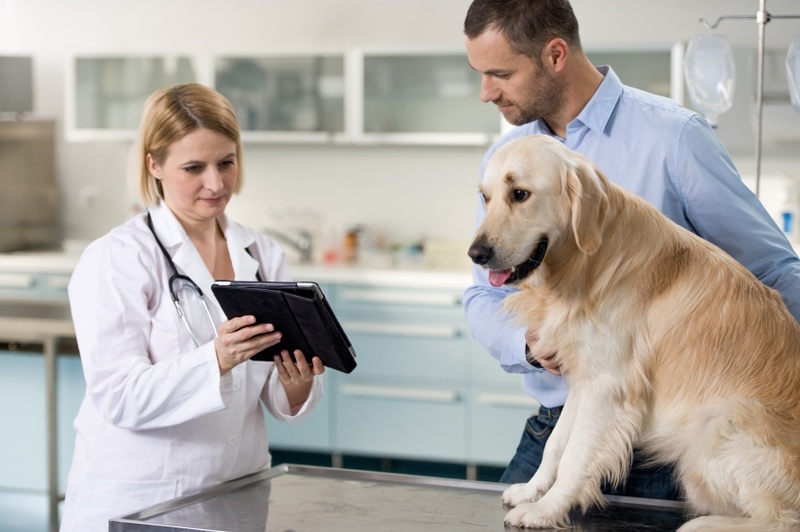 As the veterinary industry continues to evolve, many are left wondering how to keep abreast with the changes and still maintain their high standards. After all, running a profitable veterinary practice is an art, not a science. While there’s no exact formula to follow to guarantee success, there are a few strategies that virtually any office can employ to increase profits. Regardless of how technologically savvy your team might be, trying out these tips can give you a sense of what works best for the bottom line of your veterinary practice. When discussing profitability, many are quick to cut costs rather than focus on the importance of pricing. While it’s critical to be honest about what you can afford to cut, it’s also important to recognize that cuts won’t automatically lead to higher profit margins. After all, you can only cut costs so much. Instead, spend some energy really analyzing your pricing structure. You’d be surprised how a few tweaks can result in serious long-term profit. A cornerstone of virtually every veterinary practice is spaying and neutering. Many practices make the mistake of trying to price match their local low-cost spay and neuter clinics. While it’s certainly noble to offer low cost options, the reality is that this isn’t always a realistic business practice for any veterinarians hoping to turn a profit. Instead of racing to the bottom price point, focus instead on package deals that you can offer pet owners eager to provide the best care for their animals. For example, bundling vaccinations, annual exams and spay/neuter costs is a great way to generate return business. You want your patients to be happy and healthy, but pleasing their owners is just as important. Visits to the vet’s office can be stressful for both pet and pet owner alike, so taking the time and effort to make their experience just a little more relaxed can pay dividends. Consider offering free parking, coffee and refreshments in the waiting room and free WIFI if you don’t already. You can also improve client relationships by using a virtual receptionist service to book appointments. Manned 24 hours a day, seven days a week by animal lovers, an answering service for veterinarians can provide your administrative team some much needed support. Ensure your clients’ calls are picked up by a real, live human being every time the phone rings. This not only presents a professional, helpful face to the people you serve, but you’ll free up your office staff to give their time and attention to patients in the office. As smart technology continues to shape virtually every aspect of our daily lives, embracing these tools can ensure your practice is profitable for the long run. Be sure to stay on top of evolving tech trends in animal care, but don’t neglect changing technology in the administrative sphere, either. The days of paper medical records are long gone; if you’re not embracing electronic medical records, you could be wasting valuable employee time. With just the click of a few buttons, your administrative staff can quickly update patient records, schedule appointments and send out billing statements. Even better, a virtual receptionist can take care of this for your team, giving them the freedom and face time to provide the best care possible for visiting patients. The best part? Your virtual receptionist doesn’t need benefits, time off or health insurance, allowing you to redirect those funds back into your business. Based in the United States, MAP Communications is a leader in the virtual receptionist industry. Offering competitive rates and fully customizable scripts, we pride ourselves on fast pick up times and round-the-clock availability. Our team of highly-trained administrative assistants is resourceful, friendly and eager to solve the problems that plague your office. If you’re eager to provide your clients and their furry friends with the best customer service possible, consider trying out MAP’s live answering service with a free, week-long trial. Requiring no commitments on your part, this is the perfect chance to see what we are all about. When you’re ready to get started, simply give us a call or fill out this brief form and one of our helpful team members will be in touch as soon as possible.